Burbank is found the great state of California in the southern part of the state. It was named after industrialist dentist David Burbank of New Hampshire. 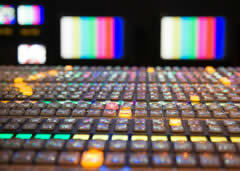 Due to the large number of media companies in found in the city it is referred to as the media capital of the world. Some of the big name media companies found in the city include NBC, Warner Bros, Nickelodeon, ABC, and Walt Disney. It is also home to some of the greatest film production companies in the world as well. Aside from this, Burbank is filled with lots of fun and interesting places that you and your family can visit together. Below are some of the amazing places for you visit while in Burbank. Flying into Burbank Bob Hope airport can offer you a less stressful way to arrive in the Los Angeles area. Local transportation providers can take you from BUR to your destination in the greater L.A. area and the San Fernando Valley. Getting around Burbank couldn’t be easier with Prime Time Shuttle. Prime Time boasts a fleet that includes a wide variety of vehicles from shared ride vans to private sedans, SUVs, and limousines. With rides to BUR airport that passengers can find shared ride vans and private car service such as vans and sedans so passengers can select from a variety of ways to get to their locations in Burbank. ExecuCar, by SuperShuttle, offers luxury sedan and SUV service. You’re sure to find a courteous, knowledgeable and friendly driver to get you where you need to go in Hollywood. Burbank is a medium sized city in the LA County. Due to its proximity to Angeles National Forest, the city is a famous for outdoor adventures and sports. It has Griffith Park in the south and La Tuna Park in the North, giving great panoramic views when you roam around in the city. 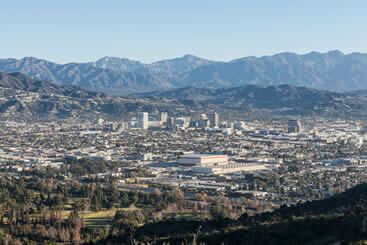 The city of Burbank is a short drive from LA City. 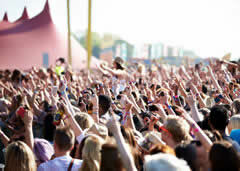 Los Angeles is the hub of entertainment and party lifestyle in the state of California. With the likes of Hollywood, Beverly Hills, and other classy places, you can enjoy both nature and exotic lifestyle by merging your visits to LA and Burbank. The air facility used to get here is BUR Airport which is also called Bob Hope Airport. It is only three miles from the city center of Burbank. Due to this, it is a first choice for the locals to travel around. You will find a rail link connecting the BUR Airport to the cities of LA and Burbank. So, you can travel both cities by simply hopping on to this local train service. BUR Airport is a smaller facility due to which processing speed is fast. The staff is not too big but is respectable and efficiently manages the services. The food served is amazing and the music played in the background makes your time here worthwhile. A bar serves drinks, helping you pass your time more smoothly. Furthermore, free Wi-Fi and phone charging booths help you remain connected to the internet. Instead of hailing a cab in the smoldering California heat from the air-conditioned comfort of the Burbank Bob Hope Airport. Get on a shared ride van and see the beauty of California as you ride in relaxation to your hotel or other destination. If you need a hitch back to the airport, don’t worry at all – you can have the same shuttle pick you up in no time. Be sure to ask us for any active deals. Although saving money is great, saving time is even better, which makes it well worth the extra buck to get a private van, especially if our providers are renting them out. Take a ride to Starlight Bowl, a great family place where you can have fun listening to summer concerts outdoors while enjoying refreshments. Another great place to take the van out is for a scenic drive through Griffith Park, which is home to tons of city views, hiking trails, and even the L.A. Zoo. Visit areas much faster and with ease by getting an intimately sized private sedan, made perfect for romantic getaways or those traveling for business. Drive over to the beautiful hills of Verdugo Mountains, a fun place to go hiking that is so secret and so elusive, most local residents don’t even know about it. If you get tired from your day of sightseeing, fix your famish by getting a tasty meal from the iconic Bob’s Burgers. Luckily, Burbank isn’t simply a romantic getaway, but a fantastic place for families or just about anyone to enjoy a vacation. Hop aboard a private SUV by shuttle providers and visit exciting areas for adults and kids alike by booking a ride today. A great place to take the kids is PickWick Drive-In Theater, home to classic movies and snacks, not to mention the fascinating Martial Arts History Museum, a great place to get in some exotic history. Visit luxurious hotspots in the quaint city of Burbank by arriving to each location in unsurpassed style. Whether you want to go out for drinks at the Los Angeles Marriott or simply want to sit by the pool at Hotel Amarano, you’ll be sure to fit right in when you chauffeur arrives. If you’re in the mood to go splurging, have your driver take you day shopping at Burbank Town Center, a modern 3-story mall with its own movie theatre. Contact us for pricing, both of which are fantastic companies. If you’ve got a sports team-sized group just waiting to burst onto the Burbank scene, be sure to book a vehicle with adequate seating. To do this, contact us for a wide variety of chartered buses, each one with comfortable seats and steady drivers. See exciting local attractions, from the many beautiful hiking trails that circle around the city to beautiful government buildings like the towering structure at Burbank City Hall. This charming path used to be a railroad line but it was later changed to a 2 mile biking trail in the year 2004. 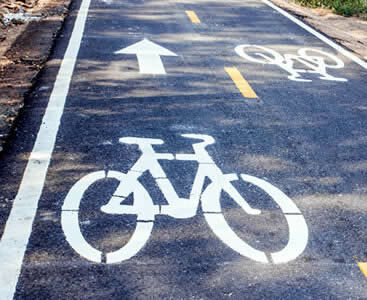 If biking is a fun activity that you enjoy you can rent a bike and then take a ride along the 2 mile long trail which runs through a quiet Burbank neighborhood. → As you cycle along the trail you will be able to see the art installations set up there by the Burbank Art in Public Spaces. The works range in subject from nature to movies. → If you are lucky enough you may also encounter the Sidewalk Astronomers who usually come by the bikeway to educate people about astronomy. The park is situated on Magnolia Boulevard and it is a perfect place that you can go to find a number of vintage and boutique shops if you are looking to purchase some of the unique items that you will find in them. → Some of the stores here include Pin Up Clothing, which sells women’s clothing with 1950s feel; the Bearded Lady Vintage is a store that received the 2010 LA reader’s choice award. → On the last Friday of every month in Magnolia Park they hold Ladies & Gents Night Out featuring food trucks and special offers and activities from participating stores. If you’ll be in town you won’t want to miss out on this event. It is Burbank’s most treasured amphitheater and it usually awes visitors. Going to see a concert here will not disappoint you. If you are visiting the city with family why not bring them along to come and enjoy activities that usually occur in the Starlight Bowl which include musical performances and concerts and many more fun filled activities. → You can either bring your own food from home in Reusable, Compostable or Recyclable containers or you can purchase food from a vendor once you arrive. → Parking is affordable and located onsite in a gravel lot. Shuttles are provided for seniors and those with disabilities. The city of Burbank is home to numerous movie and television studios and you can advantage of your presence there to tour the Warner Bros VIP studio. → You will also have the opportunity to set your eyes on the elegant Warner Brothers museum which exhibits sets, props, costumes, and scripts that Warner Brothers left behind. → Another place to visit here is the Walt Disney Studios where you get a first hand feel for its history by touring the Walt Disney Archives on a private guided tour. When you arrive at Burbank Bob Hope Airport you can find many familiar cities that surround the airport such as Pasadena metro area and Glendale including the neighborhoods of San Fernando Valley. Also known as Bob Hope Airport it is located only a few short miles from downtown Burbank so you can get to your local hotel or attraction very quickly. You can search and book rides for luxury sedans with SuperShuttle luxury car service known as ExecuCar sedan service as well as Prime Time Shuttle and GroundLink throughout the Burbank downtown and metro area. Visitors to Burbank can find many types of hotel accommodations near downtown or the surrounding neighborhoods such as Courtyard by Marriott Los Angeles Burbank Airport which is conveniently located close to the BUR airport and the Coast Anabelle Hotel for a different style of hotel stay. If you are searching for a great place in Burbank for breakfast you may want to try Granville or for a more casual eating you could try Gordon Biersch Brewery Restaurant with great hamburgers and drinks. Drop by and take a quick tour with your family with the Warner Bros. Studio Tour Hollywood and see the makings of your favorite shows as well as the very popular Conan O’Brien Show.